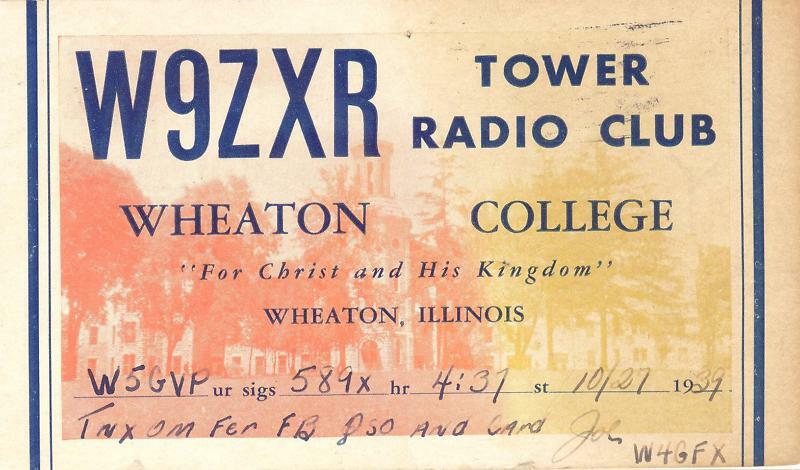 In March 1937 a group of radio enthusiasts formed the Tower Radio Club. Using its own funds the club built a 1/2 kiloWatt transmitter that could reach forty states. 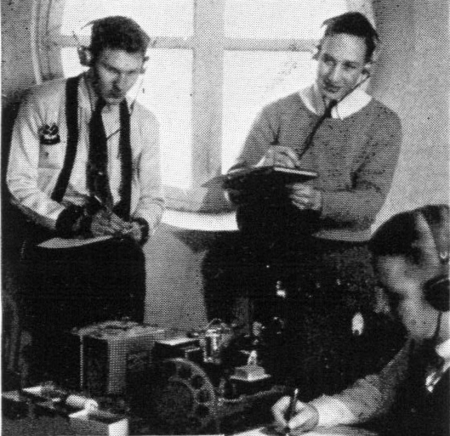 Under the direction of physics professor Paul E. Stanley the club trained students in radio communication. The club was also able to meet some of the communication needs of the college. The club would also broadcast football games from DeKalb, as well as the North Central College basketball classic. Former member Clayton Howard ’39 used the skills he picked up in those early years as he later would serve as a technician at HCJB (Heralding Christ Jesus’ Blessings) radio station in Quito, Ecuador. He worked at HCJB for over forty years and was well known as the host of the DX Partyline show. Upon his retirement Radio Moscow broadcast “The living legend of the Andes has retired!” The club continued on for several more decades after Howard’s time. But when Rich Boyd ’74 arrived at Wheaton College in 1970 he was an DXer (distancer) and wanted to join up with Wheaton’s club ham station, because, as he saw it, every college certainly must have one. He asked around and had no success in making contact. Until, that is, when he spotted the radio antennae perched atop Blanchard Tower. Tracing the cable from the “tribander” he saw them loop into a window in the tower. Some snooping and detective work helped him locate the hamshack on the fourth floor tower room (renamed the Arthur Holmes Seminar room after the 1990 remodeling). Once he made his way inside Boyd found a copy of the club’s ham license and found that the station hadn’t been used since the fifties. The radio gear was in mint condition underneath the dusty tarps. Boyd soon got the club back up and running with a dozen or so other guys. Just as the radio club continued on for several decades after Clayton Howard’s years, so too did the club go on after Boyd’s time. The Tower Radio Club was operating in the early 1990s when the Internet was mainly for academic use and the World Wide Web was yet the rage. However, today, in the 2010s ham radio operation may be less visible to the average person, but its usefulness is significant, particularly during times of natural disaster as was seen during Hurricane Katrina.